Miami Beach's new Economic Development Director is now on the job. 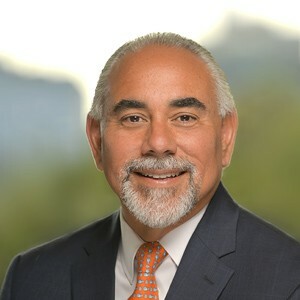 Bo Martinez, who has over 20 years of experience in economic development, is charged with “rolling out the red carpet for the business community and cutting out the red tape,” according to a City news release. Martinez most recently worked for the City and County of Broomfield, Colorado where he was “responsible for enhancing the city’s revenue base, pursuing investments in transportation and development, connecting people and jobs and ultimately facilitating community revitalization,” according to the release. Prior to Broomfield, he led the City and County of Denver’s Office of Economic Development’s Neighborhood Marketplace Initiative, Business Retention, Expansion and Attraction programs. He also worked for the City of Phoenix developing and managing the Metro Light Rail Transit Oriented Development program and downtown development projects. Earlier, the City split its Office of Tourism, Culture and Economic Development into two different offices: The Office of Economic Development and the Office of Tourism and Culture. Matt Kenny was appointed Director of Tourism and Culture.